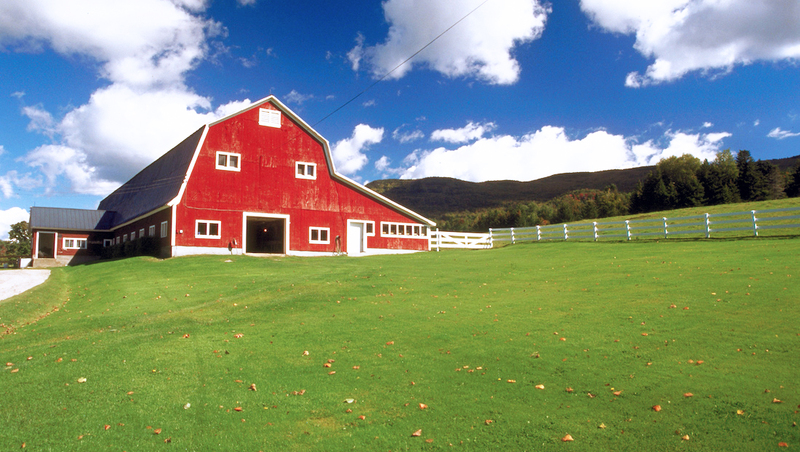 The Vermont Agricultural Mediation Program (VTAMP) is the official United States Department of Agriculture certified agricultural mediation program for Vermont. VTAMP provides free mediation services to the agricultural community to help resolve disputes before they end up in court. For background information about mediation, click here or view the video to the right. What Kinds Of Agricultural Disputes Can Be Mediated? VTAMP provides free mediation services to the agricultural community in Vermont on the issues listed above. For other agricultural issues, VTAMP will provide the mediation services free of charge when other funding sources are available. In some cases, VTAMP may ask parties to pay based on a sliding scale. Fill out the Request for Mediation form below. VTAMP staff will confirm that the other party (or parties) is willing to participate in the mediation. VTAMP staff will conduct brief confidential interviews to learn background information about the dispute. VTAMP will assign a mediator from the Agricultural Mediation Roster or VTAMP staff based on subject matter expertise, geography, and availability. The mediator will contact the parties to arrange a date, time and location for the mediation session. Please complete the form below to request mediation from the Vermont Mediation Program. If you would rather print the form and mail it to us; click here. Once your request has been received we will review your information and contact you. You’ll also need to fill-out and submit the VTAMP Release Form. Is Conflict Preventing Your Family from Discussing Future Farm Transition? An informal process where parties meet with a neutral person who helps them in the negotiation of their differences. It is a voluntary and confidential alternative to traditional legal and regulatory processes. Mediation sessions begin with a joint session with all participants present. The purpose of the joint session is to define the issues and ascertain the interests and concerns of all parties. The mediator begins by welcoming the participants, explaining how mediation works, and explaining the ground rules for the session. After introductory remarks, each participant has the opportunity to make a brief opening statement and provide their perspective on the problem. Matt is the director of the Environmental Mediation Center and the administrator of the EMC’s agricultural mediation programs. He is an attorney and mediator with over thirty years of experience in environmental law and mediation. He was the founding director of Green Mountain Environmental Resolutions, a dispute resolution firm focused on developing collaborative solutions to environmental and land use disputes. He is also a senior consultant with the Consensus Building Institute. He serves on the Steering Committee of the Coalition of Agricultural Mediation Programs and is listed on the roster of the US Institute for Environmental Conflict Resolution. Julie Hoyt is the Associate Director of the Environmental Mediation Center. Julie has worked with EMC since 2007 and currently assists in the administration of both the Vermont and New Hampshire Agricultural Mediation Programs. Julie is an attorney admitted to practice in both Vermont and Massachusetts. Julie’s mediation experience includes a variety of producer-creditor disputes, adverse decision letters arising from FSA loans, NRCS programs, Rural Development loans and many others. Julie has experience working in the agricultural community working on issues affecting dairy and goat farms and fruit and vegetable growers. Neal Rodar has over 16 years of experience in professional mediation. He was Director of the Woodbury Dispute Resolution Center for ten years. Neal’s Board and Committee memberships include the Professional Responsibility Board of the Vermont Supreme Court, the Vermont Board of Bar Examiners, the Environmental Mediation Center, the Oversight Committee of the Vermont Family Court Mediation Program, and the Vermont Environmental Court Mediation Program. Neal has worked extensively developing mediation programs with State Governments and serves as Mediator-in-Residence at the Woodbury Institute at Champlain College in their Masters in Mediation and Applied Conflict Studies program. Susan is a nationally recognized mediator, facilitator, and consultant working in complex issues in the public and private sector. She teaches in the Masters in Mediation Program at the Woodbury Institute at Champlain College and is adjunct faculty at Vermont Law School. She is also a contract mediator with a number of state agencies and is recognized for her thoughtful and creative approach to problem solving. 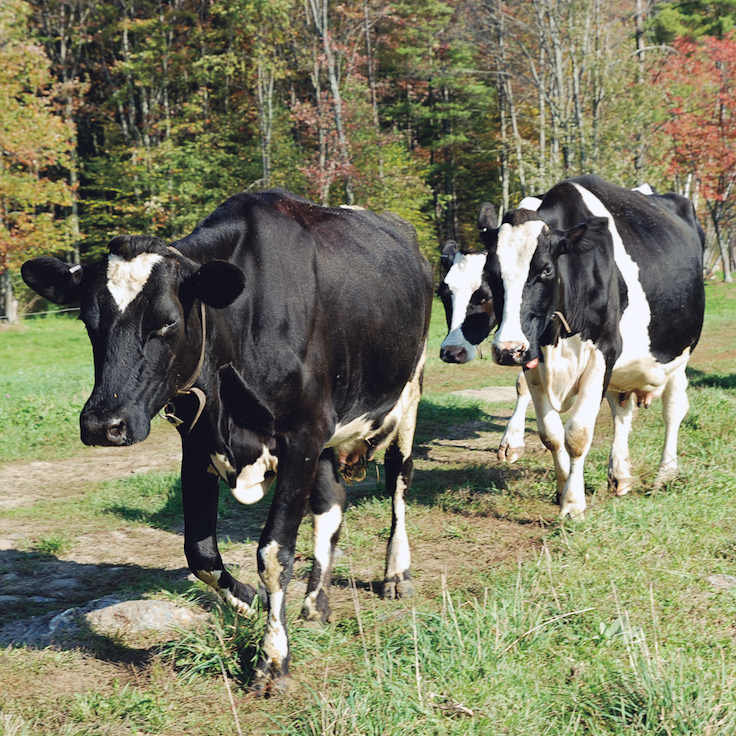 Susan lives on a diversified tree farm and has worked with numerous dairy farm families in planning farm succession. Julian is currently the director of the Master’s in Mediation and Applied Conflict Studies of the Woodbury Institute of Champlain College. His experience ranges from interpersonal situations to multistakeholder dialogue processes primarily to help people and communities resolve differences over managing their natural resources, specifically land use, distribution and ownership, fisheries management and coastal development. He has assisted communities in developing ad hoc systems for resource management as well as community-led policy recommendations to be adopted by government actors. Julian has worked to resolve disputes in over a dozen countries. He has consulted for the UN, national governments, universities and colleges and other institutions. In addition to English, he is fluent in Spanish and French. With a background in science, education and mediation, Jennifer brings a breadth and depth of knowledge in technical science, forestry, and agriculture to her mediation and facilitation practice. Her work includes facilitation, conflict consulting, trainings and mediation for non-profits, towns, the agricultural community, the U.S. Forest Service, and in Chittenden County Small Claims Court. Jennifer served as a field and lab scientist for 24 years before becoming a mediator and facilitator. For more than a decade, Jennifer supervised soil and plant tissue analysis in the UVM Agricultural & Environmental Testing Lab, interpreting lab results for, and building collaborative relationships with farmers, feed dealers, extension agents and researchers. Active in the community garden behind her house, Jennifer has also been a longtime supporter and member of a CSA. Learn more at: www.jenniferlarsenassociates.com. Farm loan and other credit issues can make a family farm transition complicated and challenging. When the next generation takes over control of the farm, there are difficult conversations required both within the family and between the family and the lender. There are questions about cash flow, debt, workload, and fairness and equity between siblings. Conflicts can arise between parents and their children or between siblings concerning management of the farm, farm credit and other financial issues. If the conflict is not resolved early on and in a constructive manner, families and businesses can be torn apart. The agricultural mediation program has helped several families deal with these issues by working with all family members to focus on their interests and resolve financial and other management issues. A farmer entered into a cost share arrangement with NRCS for a manure storage system. The farmer was concerned that the contractor who performed the work did not follow all the specifications in the contract and refused to pay the contractor the remaining balance. At the mediation, the farmer, NRCS, and the contractor had an opportunity to talk about exactly what was done differently and why it was done that way. Once all the parties had a greater understanding of the nature of the work performed, the mediator facilitated a discussion on possible ways to resolve the dispute. Since mediation sessions are confidential, each party could talk openly about which options could be acceptable. The parties were then able to reach an agreement that was acceptable to all parties and most importantly it provided a means for dealing with any future problems. A farmer was seeking a loan guarantee from USDA to purchase the family farm. After months of back and forth discussions between the farmer, a commercial lender, and USDA, the loan guarantee was denied. The process stalled and the farmer did not know where to turn to next. The farmer contacted the agricultural mediation program in his state and requested mediation. At the mediation, all the parties were at the table together for the first time. Mediation enabled the parties to dispel preconceived notions about each other and address each party’s concerns. The mediator assisted the parties in generating options that addressed concerns raised by the various parties and ultimately the parties were able to work together to develop a loan package that worked for all. A farmer owed his feed supply store a significant balance. Interest was accruing on the principal and the farmer who was struggling to make ends meet did not know how he was ever going to pay the entire debt. The feed supply store was in a tough bind. If it continued to provide feed, the farmer’s debt would likely continue to grow. If it stopped proving feed to the farmer, the farm would fail. Either way, it was not clear how the farmer could pay back the debt. The farmer contacted FSA and FSA referred the farmer to his state’s agricultural mediation program. At the mediation, it was clear that all parties had an interest in the farmer succeeding. The parties discussed several options for restructuring the loans that would enable the farmer to pay back his entire debt. Ultimately, the parties agreed to a settlement that worked for both the farmer’s and the feed supply store’s balance sheet. A farmer disputed a determination by NRCS that a particular field was a wetland. The field was designated as a wetland on soil maps but due to past activities on the field, it was difficult, if not impossible, to conduct a new wetland determination. The farmer wanted to plant the field as soon as possible but risked a penalty and his ability to participate in USDA programs if he planted in a wetland. The parties were stuck and the farmer was concerned that the window for planting would soon pass. He requested mediation to resolve the stalemate. The mediator helped the parties make a list of possible methods to make the wetland determination and the advantages and disadvantages of each. Ultimately, the parties agreed to have their wetland experts work side by side to conduct a wetland determination on a similar adjacent field that was also designated a wetland on the soil map. Since all parties agreed to the process and conducted the test together, each party accepted the results. The above case studies are either compilations of cases with similar facts or include changes to minor details to protect the confidentiality of the mediation process and the privacy of the parties. Photos of farms and or farmers are used for decorative purposes. These farms and farmers were not involved in the above case studies. The dedication of Agricultural Mediation Program mediators and their ability to get all the necessary parties willing to work together constructively made it possible to reach a positive outcome in a case where it didn’t seem likely. I tried to resolve my dispute on my own for 18 months but was shot down on every avenue I tried. Once we got into mediation, they really started to listen to me for the first time and we were able to resolve the dispute quickly. The mediation enabled the parties to communicate their interests clearly and effectively and reach a resolution quickly that was acceptable by all parties. I felt really good about how the mediation was conducted and would use Agricultural Mediation Program’s services again. Mediation has proven itself to be a cost effective way to deal with any disputes farmers may have with USDA. Compared to the appeals process, it also saves a huge amount of time. I was struck by how fast it went. The mediation was set up right away and the dispute was resolved within a week. If you want to fight, hire an attorney. If you want to get something done and reach an agreement, hire a mediator.